We postponed the fact of travelling because the kids are still small and it will be difficult for us especially that we have our little girl. 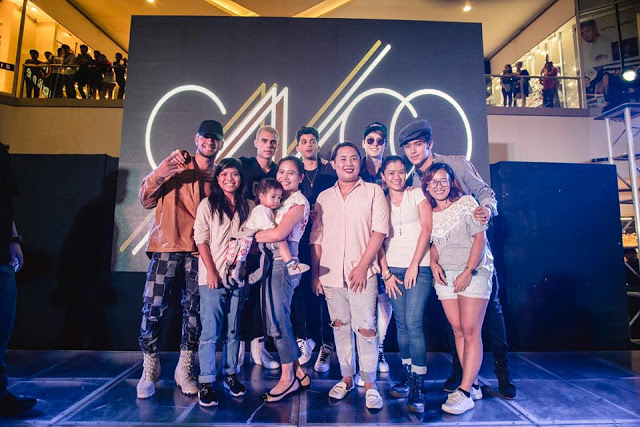 But we finally had our first travel as a family of five last May 2017. We went to Masasa Beach in Tingloy Batangas together with my office-mates. This is actually a Team Building but I can't go without bringing my whole family with me. It is also the best time for us to go an out-of-town trip and the first sea experience for my twins. I take into consideration a lot of factors when I bring my kids with me. Believe me when I say its not a walk in the park, there's a lot of planning and things that we need to bring. So I took a deep breath and calm myself. This is our first time anyway and we should learn from it. Before we went to Masasa Beach, I've looked for a blogpost review about it and all I can see was for those who are single travelers. 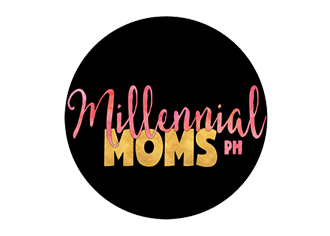 I also chanced upon the post of Tipid Mommy where I got some tips from. 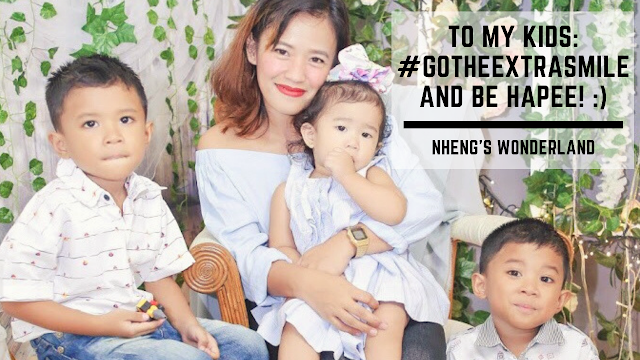 So on this post I came up with my own tips for a fun Masasa Beach trip with kids and babies. 1. Pack Snacks. A must if you have kids on tow. Advisable to have sandwiches on Tupperware with their favorite spread. Also pack small portions of chips because they might get overwhelmed while you are still on a car/van. 2. Toys. Speaking of travelling be it by car or by sea, toys are a great distraction for the kids. 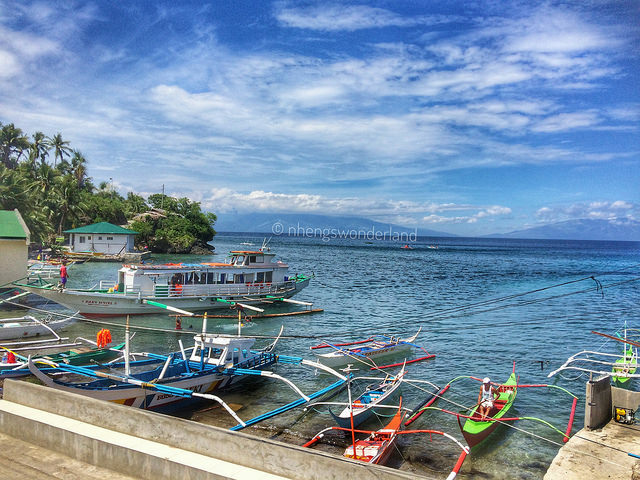 Total travel time going to the Anilao Port in Batangas is around 3 hours coming from our office in BGC and another 45 minutes for the boat transfer going to Tingloy. In my sons' cases, they love seeing the cars while we travel and they also love the sea while we were at the boat. 3. Kids' Life Vest. 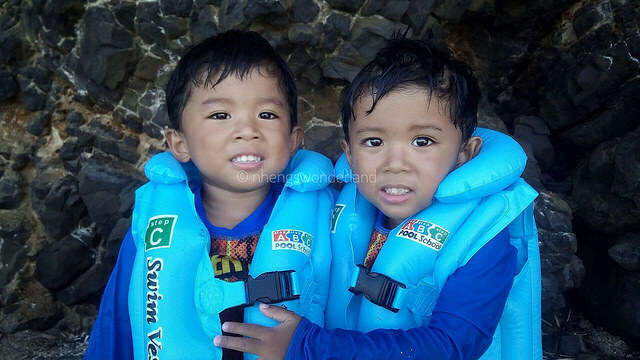 As mentioned above, there is a boat transfer from Anilao Port going to Tingloy and we also have a scheduled Island hopping for my hubby and the twins so we need life vest for the kids. The boat have their life vest but they don't have one for toddlers. I bought the twins' life vest from Antipolo Market which only costs P50 each. It is not suitable on shallow water and still need a parent's supervision. I wasn't able to get a baby life vest, good thing that the sea was calm going there and on our way home too. Thank's God for our safe trip! 4. Baby Gears. For a more fun time at the beach, you may bring the following but some of them are optional. Sand toys so the kids will enjoy the sands. Hat for the little girl while walking at the beach shore. A whole body rash guard, well in my case I was only able to score rash guard with shorts from Taytay Tiangge for P280/pair. We've been loyal to our 3 yr old P50 worth rashguards from Divi! :) If you can find beach shoes or water-shoes, bring it. The shore at the Mamasa Beach is a bit rocky but they have clean and clear water. 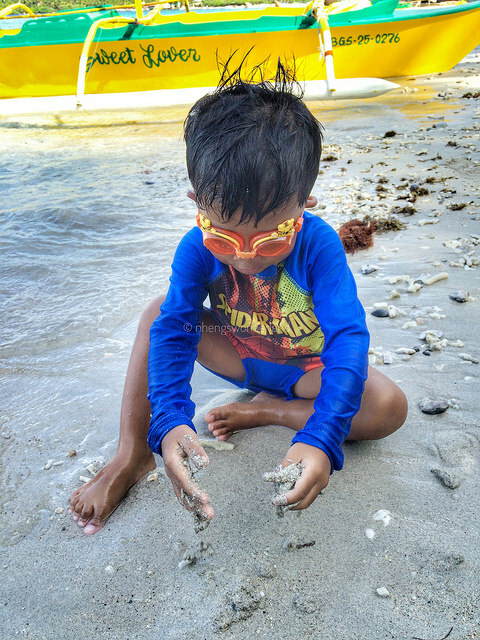 Goggles, my twins really love to dive into the water so this will help for the protection of their eyes from sea salt. Swim diaper for the little one, but in our case, I didn't let her swim yet. 5. Sunscreen All The Way. As mentioned above, it is advisable to have a whole body rashguard and have sunscreen as another protection. Bought one that is suitable to toddlers. 3. Mosquito Repellent. We stayed at the residency of Mayor Alvarez where we rented a small house with 2 rooms fitted for almost 16 people. They only used generator for their electricity so lights on is at 12noon to 12 midnight. I brought our OFF Lotion kids to worry less if there's mosquitoes flying around. As for my little girl, I had her pajamas and long sleeves on and apply lotion on her clothes instead. 4. Charged Battery Operated Small Fan. As mentioned above, there's a power off so better if you bring this so the kids will sleep comfortably. 7. Babywear. I can't reiterate enough how useful this is for us especially when we travel. I carried with us our Indigo Baby Pouch where my baby can sleep while we travel and it is so convenient to move. 8. Mineral Water. 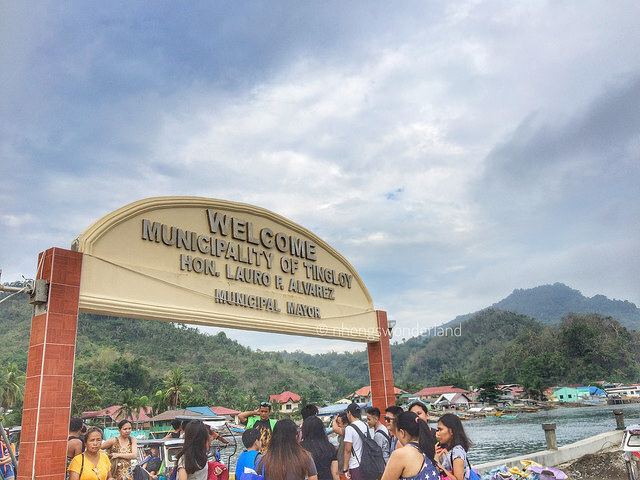 At the Anilao Port, we bought all the needed ingredients for our food on our 2 days escapade. If you can buy 1 liter of mineral water for the kids, buy it. At Tingloy, they don't have mineral bottled water even at the sari-sari store so better buy firsthand before taking the boat going to Tingloy. 10. Tent and Blanket. Our rented house was just 5 minutes walk going to Masasa Beach. You can also rent tents and stay at the shore if you feel adventurous. Its not applicable for us because we have the kids but if you decide to swim at the beach, setting up the tent and blanket is another great idea. If the kids get tired from playing and swimming, they can nap here and eat their food. Here's a simple video of our trip at Masasa Beach, Tingloy Batangas. And the last tip? Enjoy! No matter how hard it is when travelling with kids, it's still the best experience for me as a mom. I hope you got something from these tips. If you are planning on going to Masasa Beach, for me its much easier if the kids are a little bit older. It was so hard to travel with 3 kids in tow but I am sure this will be a great memory for them.